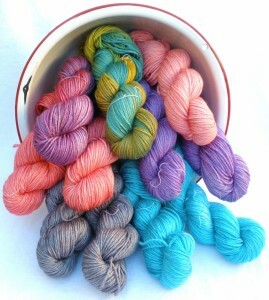 Worsted weight yarn for Village Fest tomorrow night! 100 grams each of soft, lovely 60% Merino / 40% Cultivated Silk, 4-ply. Gauge 4.5-5 sts/in, US 6-9 needle, just in case you want to come shopping with a project in mind! Mmmm, all the pretty colors. 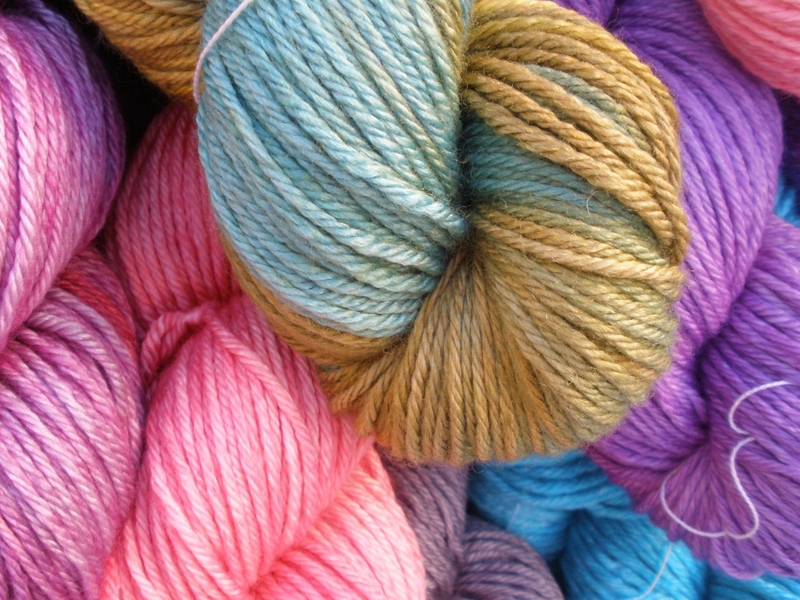 This entry was posted in Uncategorized and tagged hand dyed yarn, silk, wool, worsted weight yarn.